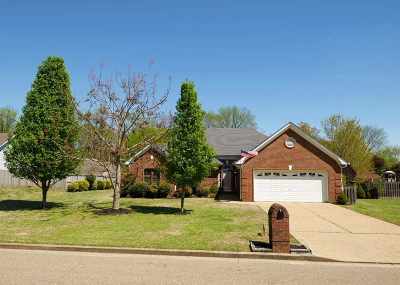 This 3 bed 2 bath home located on quiet street in desirable Highlands subdivision of Munford, just 30 minutes from Memphis, features luxury master suite w/ double vanity, jacuzzi tub, separate shower, walk-in closet. House also features 2 other bedrooms, large living room with brick fireplace, vaulted ceilings, crown molding, separate dining area and breakfast area, large back yard with wood fence, architectural shingle roof, and more! Showings start Sat, April 13th.